No, you’re not required to address this chair as Sir Rawlinson, but you might want to. 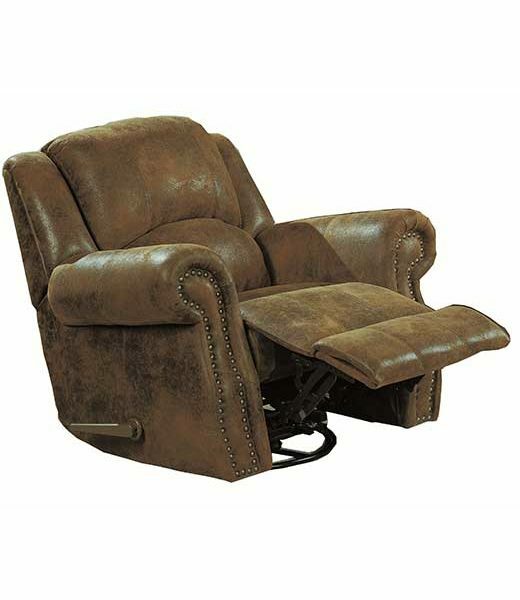 This Sir Rawlinson casual Recliner with Nail Head Trim might be jus what you need. Lull yourself into the ultimate relaxation with this casual recliner. Wrapping your body with soft support, this item features a plump bustle back cushion and plush pad-over-chaise seat for head-to-toe comfort you can depend. Accented by nailhead trim and sleek back wings for a touch of traditional design unlike your average recliner. 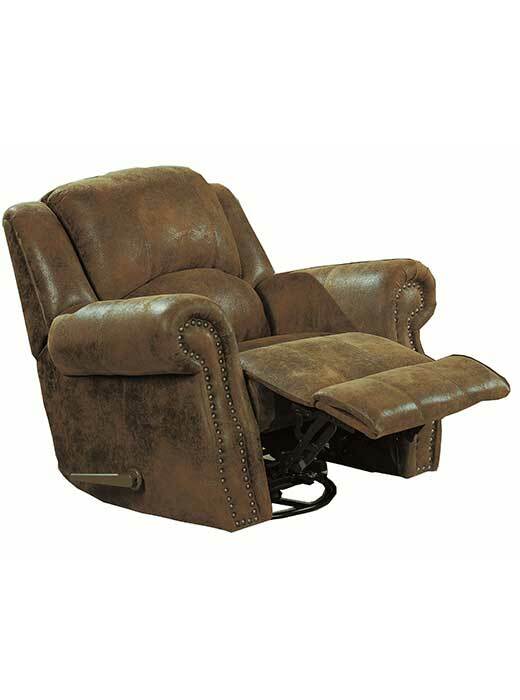 Easily reclines at just the pull of a handle, this recliner offers style and sensibility. Fabric Options Soft medium brown distressed microfiber fabric. Tailoring Casual tailoring with split back cushions. Arm Flared arms with classic nail head trim. Leg or Skirt No visible foot. Recliner Mechanism Leggett and Platt reclining mechanism. Frame Construction Sturdy hardwood frames. Padding & Ergonomics Plush pad over chaise style seating. Coil Construction Sinuous spring bases.